I usually have a ton of students working on either inferencing or listening comprehension (or both), so I am always on the lookout for great materials to use with this population. 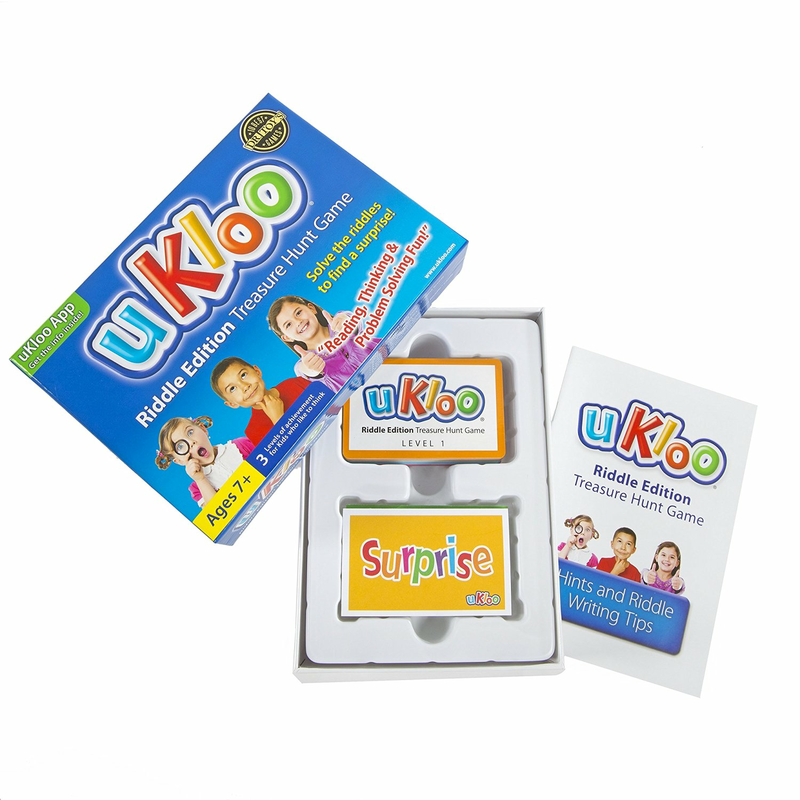 Since it is always more motivating for students when an activity looks like an actual game, I was fortunate to stumble across uKloo Riddle Edition and be provided with the opportunity to review it. 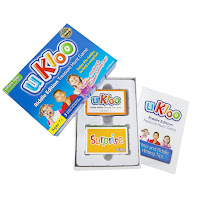 uKloo essentially consists of 75 cards, each of which contains clues about a secret item. Players have to listen carefully and use their critical thinking and inferencing skills to figure out the mystery item. This is very similar to speech therapy activities where you give three clues and have students figure out what object is being described. However, uKloo takes it a step further by only providing only a simple sentence, thereby making this activity more challenging. The game box also contains a little paper pad for you to create your own riddles, which would be an excellent extension activity once students have mastered the clue cards. Level 1: Always white, sometimes brown, builds your bones when it goes down. Level 2: Isn't it a curious thing, to fight cavities with a string? Level 3: Poke your fingers through my eyes, while I cut things down to size. Were you able to figure out the mystery items? The respective answers were milk, dental floss, and scissors. I played this game with my 4th and 5th grade language students and most of them were challenged enough with level 1 or 2. Obviously you don't need to be a speech therapist to enjoy this game at home -- this game can also serve as a treasure hunt where players find the mystery item in their home. The next clue card is then hidden with the item. uKloo Riddle Edition reminds me of that chapter in J.R.R. Tolkien's "The Hobbit", where Gollum challenges Bilbo with riddles. All in all, it's an awesome game that you can use to target multiple skills. Also make sure to check out uKloo Early Reader Edition (which is also available as an App for your iPad).